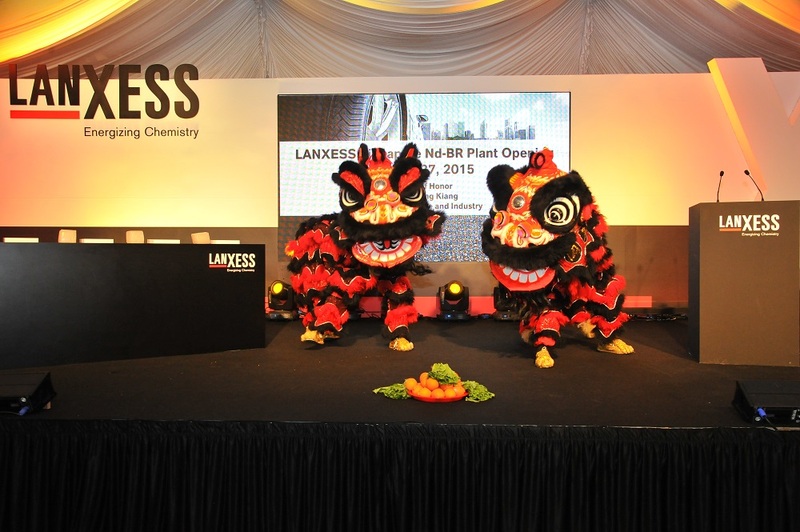 Dressed in the LANXESS corporate colors, the lions kick-started the opening ceremony with a performance of ‘Cai Qing’ or ‘Picking the Green’, an act symbolizing an abundance of all the good fortunes for the future of the new plant. 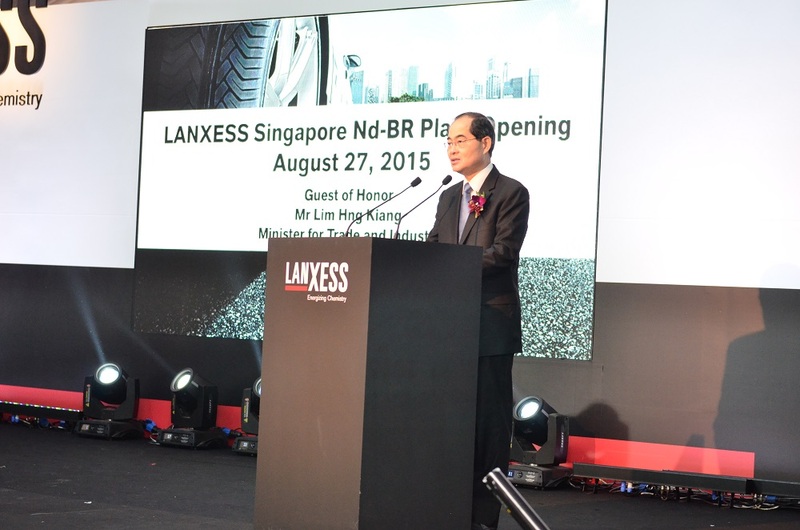 Guest-of-Honor, Mr. Lim Hng Kiang, Singapore’s Minister for Trade and Industry shared his thoughts and well-wishes for the new facility. 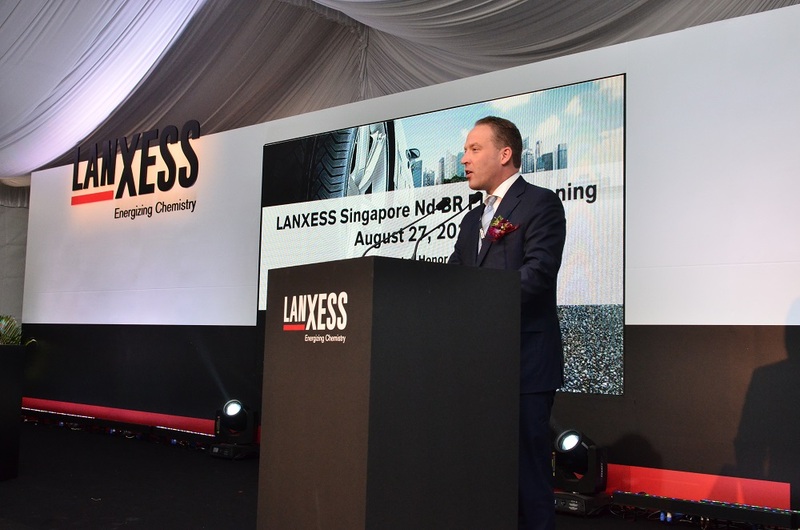 Mr. Matthias Zachert, Chief Executive Officer and Chairman of the Board of Management, LANXESS AG, shared insights on the company’s vision for the future at the opening ceremony. 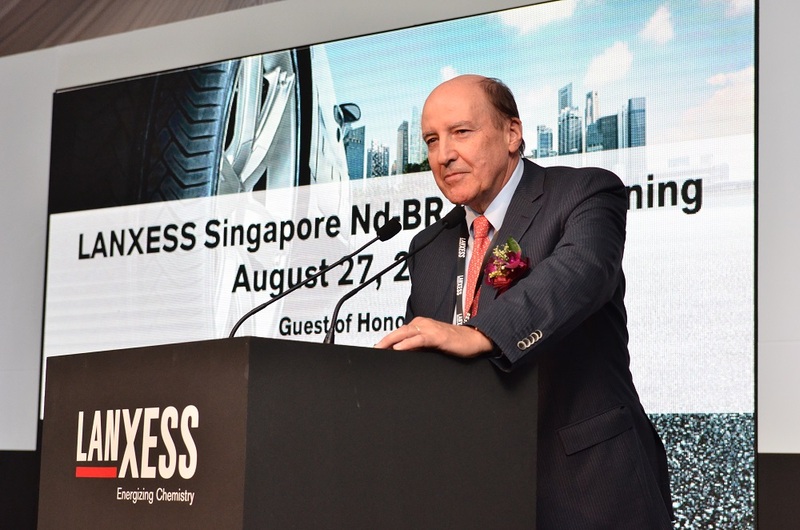 Mr. Jorge Nogueira, Head of the Tire and Specialty Rubbers Business Unit of LANXESS AG, highlighted the competencies of the new facility. 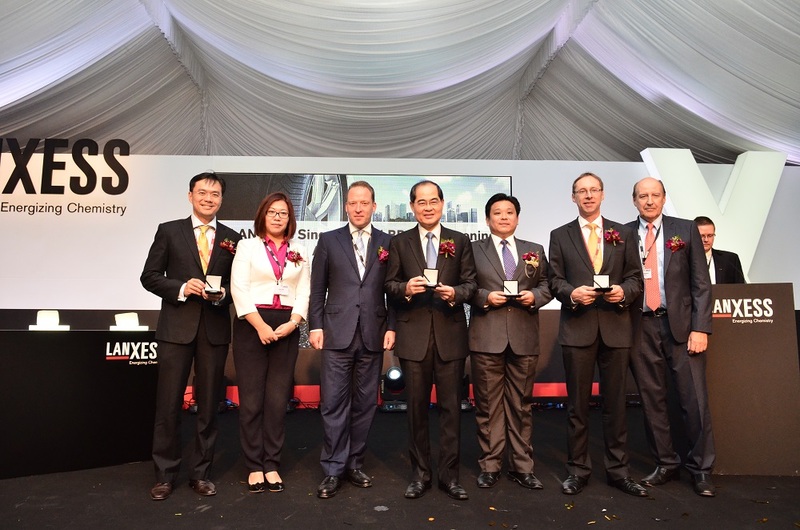 Left to right: Mr. Damian Chan, JTC Corporation | Fiona Wu, LANXESS Singapore Representative | Mr. Matthias Zachert, Chief Executive Officer and Chairman of the Board of Management, LANXESS AG | Mr. Lim Hng Kiang, Minister for Trade and Industry | Mr. Dennis Tan, Economic Development Board of Singapore | Dr. Steffen Koch, Acting Mission Head of the Embassy of the Federal Republic of Germany | Mr. Jorge Nogueira, Head of the Tire and Specialty Rubbers Business Unit of LANXESS AG. 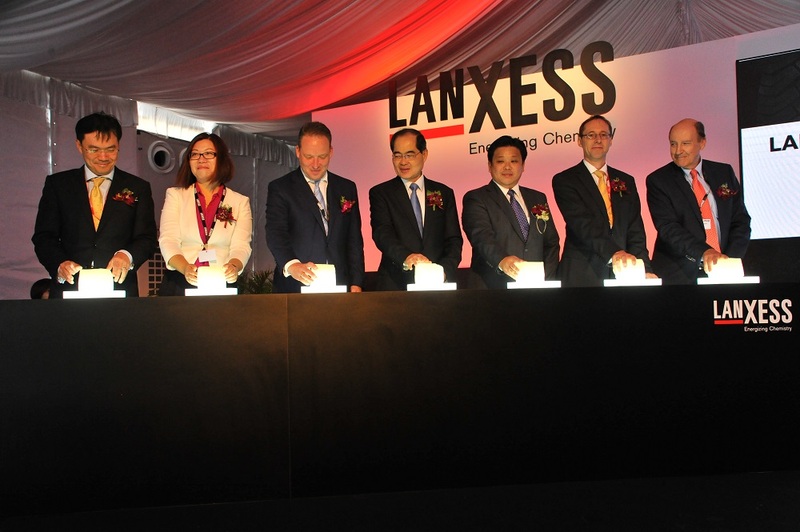 The lit-up rubber cubes signified the official launch of LANXESS’ new Nd-BR plant. 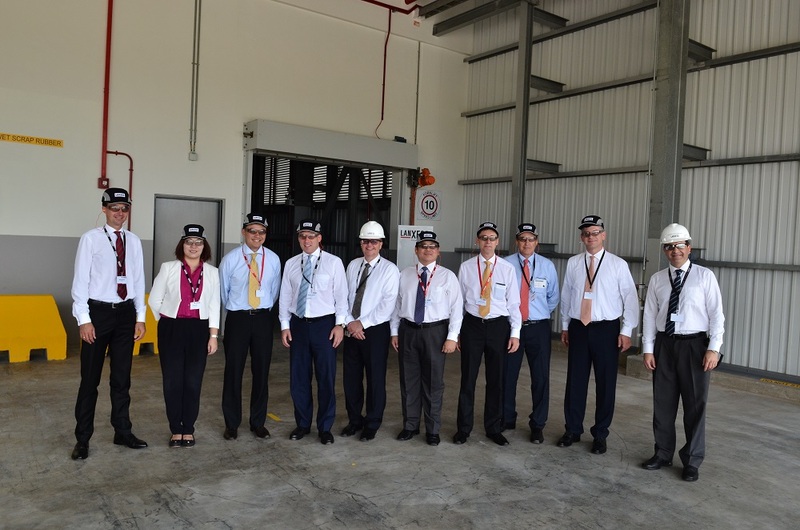 Guests sharing a photo moment before embarking on a walkabout tour of LANXESS’ Nd-BR plant.